Video: Pony Perfection! 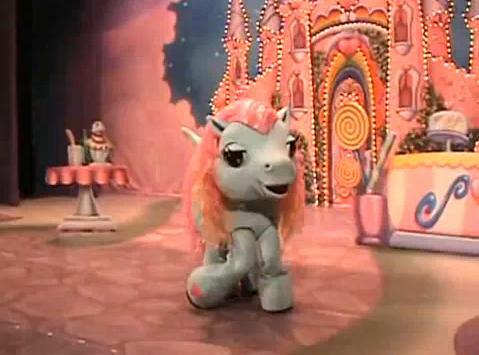 Live Action My Little Pony Musical Does Dreamgirls and Wicked! Everyone loves how Glee puts their own spin on classic pop and Broadway songs! I am a HUGE Gleek, but I think that I have found something that might be just a tad bit more amazing than one of the best shows on T.V.! When I first moved to NYC I lived in Brooklyn. My former roommates always found the craziest videos. I never really watched them but I am so glad that I saw this! I consider this video to be one of the greatest YouTube videos of all time! If you are a theatre nerd then you will too! When I saw this for the first time I was holding my head and literally loosing it! The emotion! The pain! The ponies! Do you think you can handle this? PLEASE PLEASE comment and let me know what you think! Um, an Effie White Pony?! YES, PLEASE AND THANK YOU!